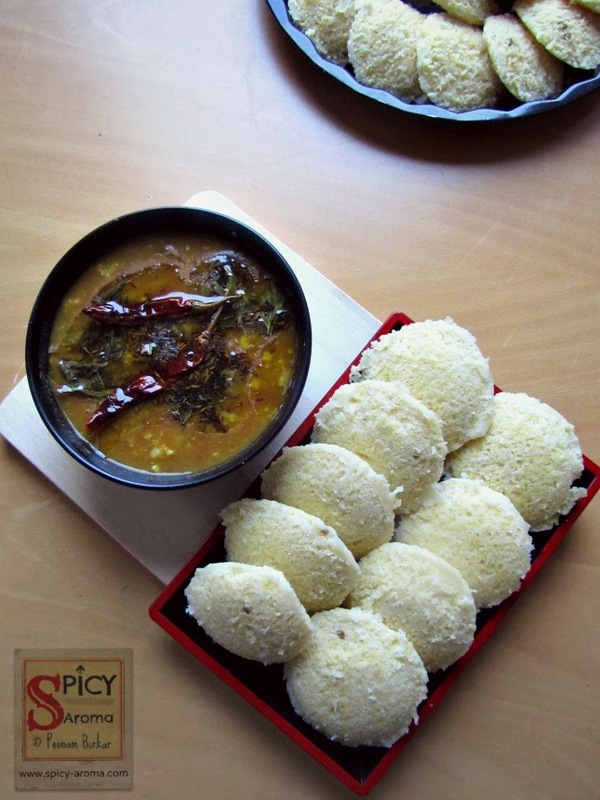 How to make Moong dal and Urad dal idli? Wash Moong dal and urad dal really well and soak them overnight in enough water along with few fenugreek seeds. Next morning, grind them coarsely with minimum water. Mix both batter together. Batter should be coarse and little bit on thicker side. You can see the consistency of the batter in a picture below. Then take some batter just enough to make one batch of idli and add eno fruit salt and salt to taste. If you have time then let the batter ferment for 4-5 hours. In that case you don’t need to add eno fruit salt. I made some of the idlis by adding eno fruit salt and rest with fermented batter. Both turned out great. Prepare the steamer and grease the idli moulds with little bit of oil. Pour a ladleful of batter in each mould and place it in the steamer. 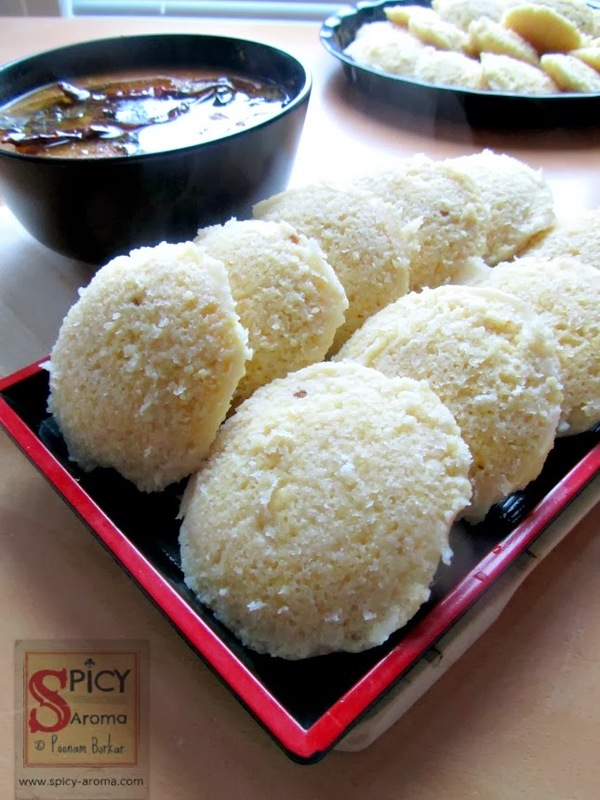 Steam the idlis for 15-20 minutes. Insert knife at the center and if it comes out clean then idlis are cooked. Take them out and serve hot with sambar or coconut chutney. Pressure cook tuvar dal until 3-4 whistles. In the cooked dal, add all cut vegetables, red chilli powder, sambar powder, turmeric powder, tamarind pulp, jaggery and salt to taste. You may add any vegetables of your choice. Add 2-3 cups of water and allow it to cook on medium heat until all vegetables are soft. Mash the veggies little bit and allow curry to simmer on low heat for 15-20 minutes. Meanwhile prepare tempering for sambar. Heat a tbsp of oil. Once heated add mustard seeds, cumin seeds, curry leaves, asafoetida and red chillies. Let them splutter nicely. Pour it on a sambar and mix well. Serve it with idlis. wow....very healthy n soft idlys....looks very yummy! 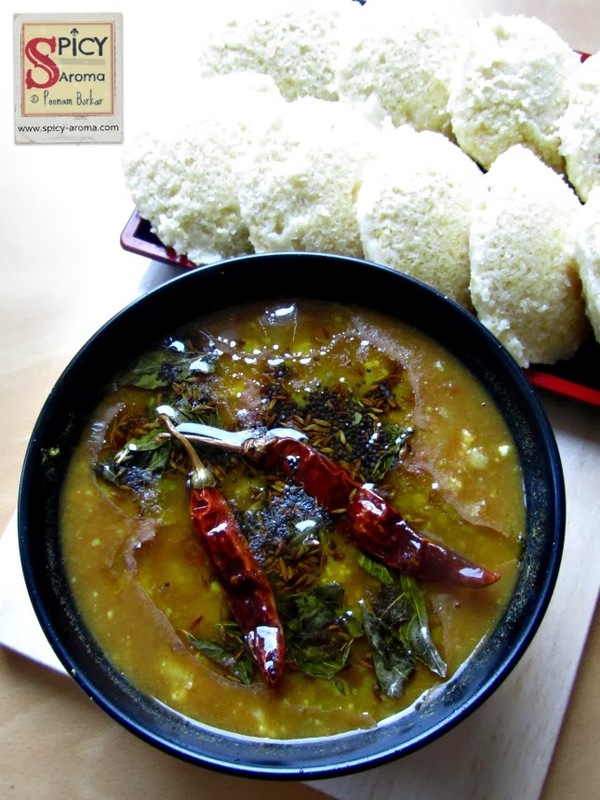 Delicious and lovely looking moong and urad dal idlis.